Tinned stranded copper conductor . Color coded SR PVC insulation. Tinned copper braid shield 85% coverage. 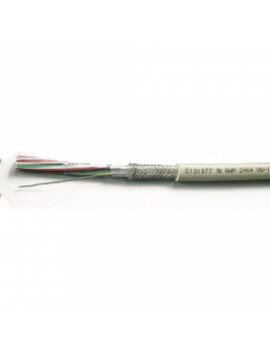 Tinned copper drain wire (24AWG , 7/0.20) . Rated temp. 80°C , rated voltage 300V. UL File No. : E131077, CSA File No. : LL80602 . 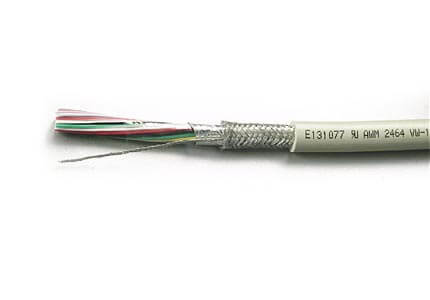 UL2464 MULTICORE CABLE Multicore Overrall Foilbraided (CB..Series) This general purpose multicor..